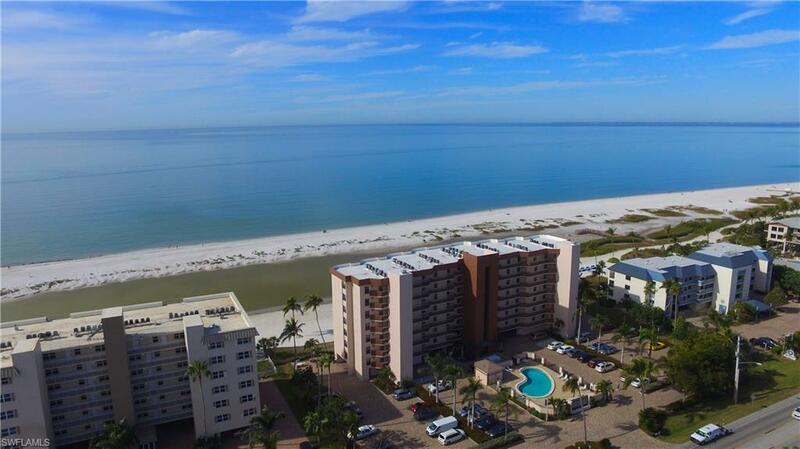 PRISTINE PANORAMIC VIEWS OF GULF OF MEXICO from the 2/2 Condo on the South end of Fort Myers Beach! The tastefully decorated condo has been updated from "top to bottom!" 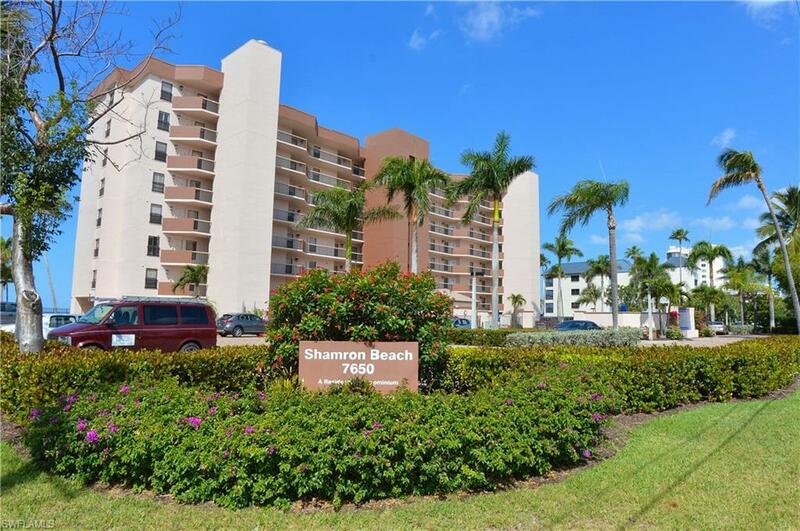 Both bathrooms have tile showers and new cabinets and floors, a beautiful open kitchen with new cabinets and granite, plantation shutters, crown molding and tile and wood floors just to name a few of updates. Amenities include Community Room, Bike storage, BBQ and extra storage. 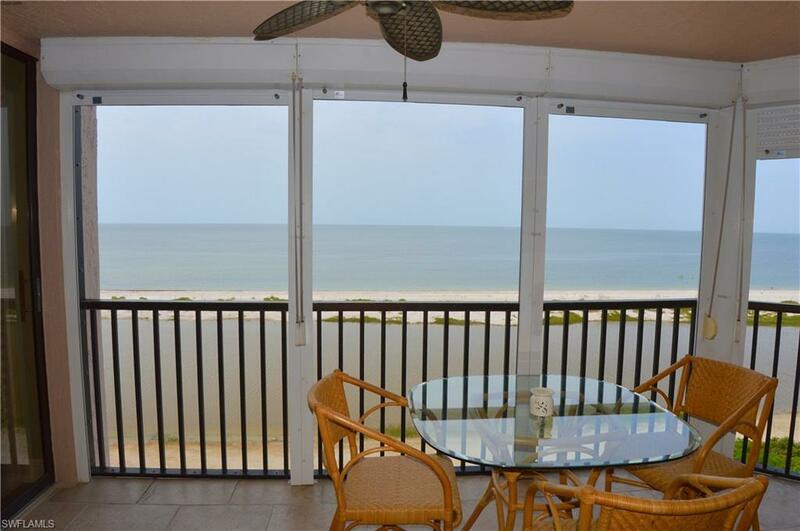 Walking distance to shopping, Marina, fine and casual dining. Enjoy fabulous nightly sunsets from your screened lanai. 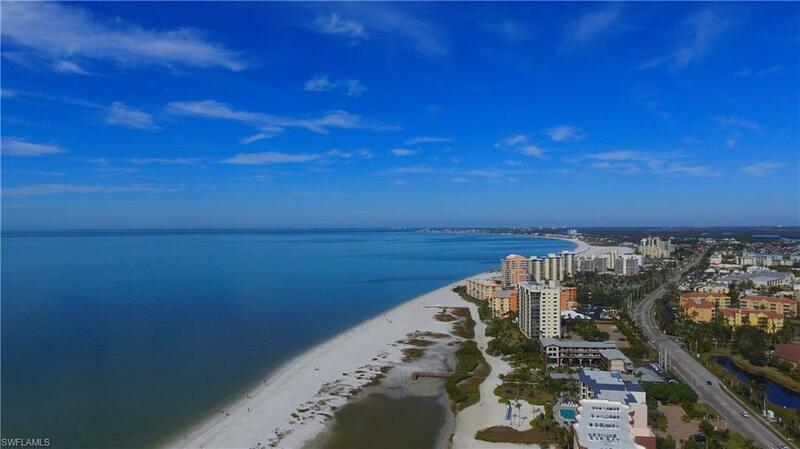 If you are looking for a casual Island lifestyle that allows you to walk the white sandy beach, swim in the gulf waters and relax in the warm sun - you have found it!!! Listing courtesy of Katherine Dishnow of Lahaina Realty.